Liverpool's heroes of Istanbul: Where are they now? 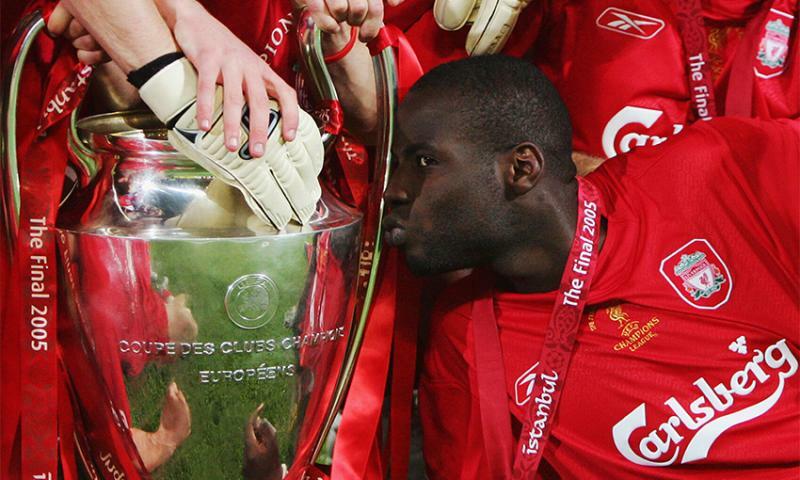 With Liverpool preparing to face Real Madrid in Saturday's Champions League final, we've taken the opportunity to look back at the club's last European Cup triumph in 2005 and the heroes who claimed it. No Reds fan will ever forget the Miracle of Istanbul, when Rafa Benitez's side fought back from three goals down against AC Milan to win a dramatic penalty shootout. But what about the players who performed so magnificently that night? Where are they now? Dudek left Liverpool to join Real Madrid in 2007, but the Polish goalkeeper will be forever remembered for that double save that denied Andriy Shevchenko in the closing stages and his subsequent heroics in the penalty shootout. "I was hanging in the air like someone had miraculously held me there. It was like slow motion as the ball came towards me. "I raised my left hand and my left leg and I dived to my right in hope I would get something on it. The ball hit my left hand and landed one metre in front of the goal line. I saved it. I saved it. I SAVED IT!" After leaving Anfield, Dudek spent four years in Madrid before retiring in 2011 and turning his attention to motor-racing - competing in the 24H Series endurance races and other competitions. Consistent right-back Finnan left Anfield after making 217 appearances to join Espanyol in 2008. He returned to England with Portsmouth, hanging up his boots after the 2010 FA Cup final loss to Chelsea. 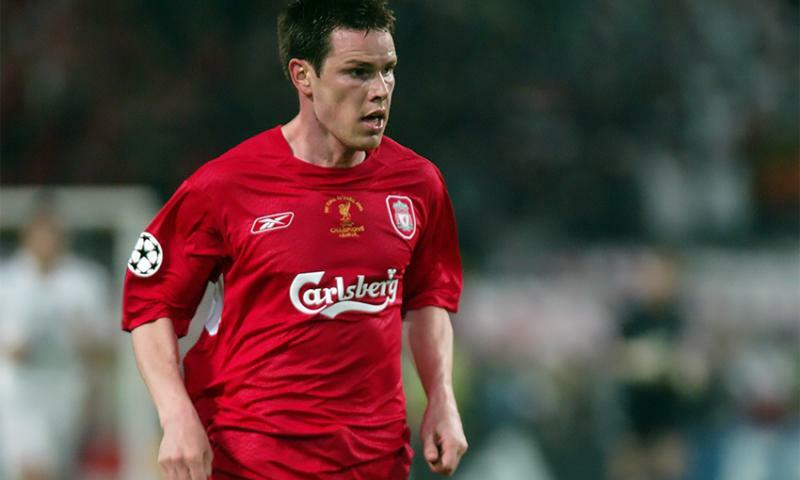 Opting for a life out of the spotlight following his retirement, the organisers of a 10th anniversary Istanbul Reunion had to launch a #findstevefinnan hashtag campaign on Twitter to track down the elusive Irishman. He was eventually located in London running a property company, which he recently left. 'Big Sami' formed a formidable partnership with Jamie Carragher at the back. Despite conceding three goals in the final, earlier in the competition it had been Liverpool's defensive record that provided the foundation for a number of famous wins. He bid farewell to Anfield in 2009 after a 464-game Anfield career to join Bayer Leverkusen, where he finished his playing career and eventually became manager. He also coached Brighton and Hove Albion and FC Zurich, and now imparts his wisdom as a pundit. 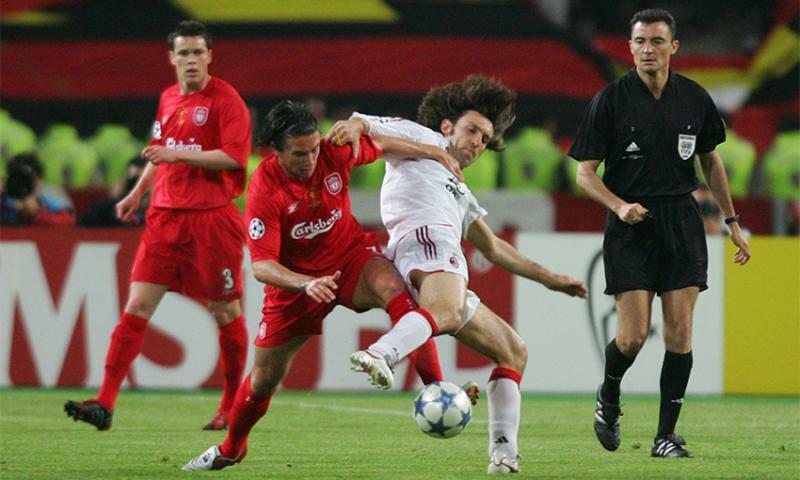 The one-club centre-back, who ranks second on Liverpool's all-time appearances list with 737, was a key part of the miserly defence that reached the 2005 final and made numerous last-ditch blocks and tackles in Instanbul depsite going down with cramp late on. He added the 2006 FA Cup and 2012 League Cup to his considerable trophy collection before retiring in 2013. Now one of the country's top pundits, Carragher has struck up an unlikely on-screen partnership with former Manchester United foe Gary Neville. He is also heavily involved in charity work with his 23 Foundation. 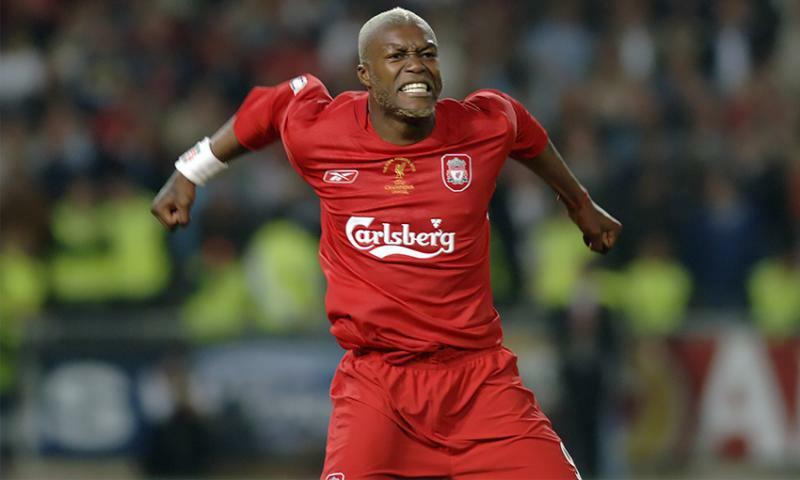 Traore played 141 times for the Reds and produced a remarkable crucial goalline clearance to deny Shevchenko what would almost certainly have been the winner in Istanbul. The defender left Anfield in 2007 for Charlton Athletic and played in France for Monaco and Marseille before ending his career in 2014 after a two-year stint in Major League Soccer with Seattle Sounders. He is currently assistant to manager Brian Schmetzer at the US club after working his way up from the coaching staff of the Sounders' second team. 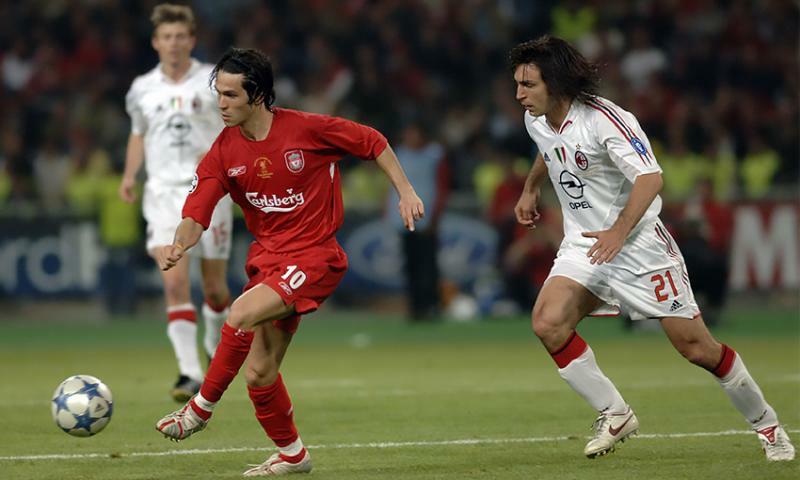 The Spanish maestro scored the equaliser against AC Milan in Istanbul and was part of the backbone of the Liverpool side from 2004 to 2009. He eventually left for Real Madrid, with whom he collected another Champions League medal, and after four trophy-laden seasons joined German giants Bayern Munich. Three Bundesliga titles later, he hung up his boots in May 2017, at the age of 35 . Judging by his performance in the recent Legends match between Liverpool and Bayern at Anfield, Alonso could still play professionally - but he's recently been linked with a move into management. A cult hero who had a habit of scoring vital goals in vital games. Garcia netted five times during the triumphant Istanbul campaign, including quarter-final and semi-final strikes against Juventus and Chelsea respectively. After leaving Liverpool in 2007, the Spaniard journeyed to Atletico Madrid, Panathinaikos, PUMAS, Atletico Kolkata and came out of retirement to play for A-League side Central Coast Mariners in 2016. He has now embarked on a TV career that encompasses La Liga TV and Premier League TV among others, and is a popular stalwart of the LFC Legends' team. Regarded by many as Liverpool's finest ever player, skipper Gerrard was the last man from the Istanbul side to leave Anfield. That night in Turkey he netted the header which sparked the comeback - and he went on to score many more vital goals over a 710-game career with his boyhood club. He left to join MLS side LA Galaxy in 2017 and, after hanging up his boots, returned to Liverpool as coach of the U18s in 2017. On June 1, he will begin his new role as manager of Scottish Premier League side Rangers. Predominantly a full-back, Riise's attacking approach earned him a start at left midfield for the final. 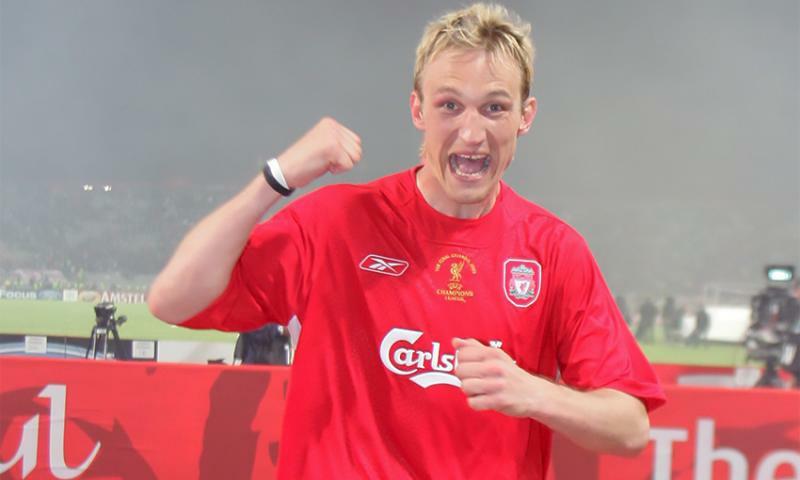 Always a popular figure among fans, the Norwegian and his powerful left foot departed Anfield for Roma in 2008. He moved back to the Premier League with Fulham before moving onto APOEL, Delhi Dynamos, returning to first club Aalesunds FK and then heading back to the Indian league for a final hurrah with Chennaiyin F.C. He announced he had become an agent for Global Finest Athletes in November 2017 but he can still be seen sporting Liverpool's colours on the Legends circuit. Australia international Kewell was injured early on in Istanbul and had to be substituted. He left Anfield to join Turkish side Galatasaray in 2008 before returning to his homeland to play for Melbourne Heart and Melbourne Victory. He retired in March 2014 as one of his country's greatest ever players. Kewell began a coaching career in 2015 as Watford U23s manager and is now boss of League Two side Crawley Town. The Czech led the line against AC Milan and, at the age of 36, is one of two members of the Istanbul side still playing. He is now in his fourth stint at boyhood club Banik Ostrava. Baros left the Czech side to move to Liverpool in 2002, and also played for clubs including Aston Villa, Lyon and Galatasaray after departing Anfield in August 2005. Didi's introduction at half-time is pinpointed by many as the catalyst that turned the fortunes of Liverpool in Istanbul. The defensive midfielder helped the Reds gain a foothold in the centre of the pitch, where they had been outplayed before the break. He left Anfield for Man City in 2006 and after dabbling in management with MK Dons, Leicester City and Stockport County can now be seen and heard as a TV and radio pundit in Germany and the UK. 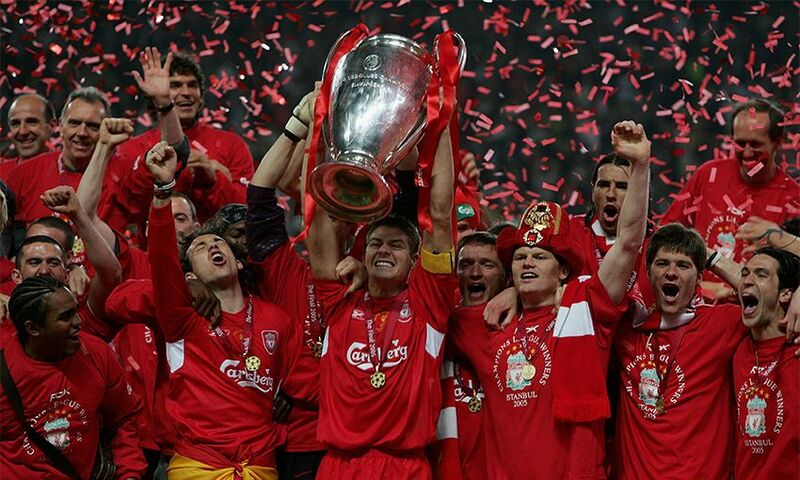 The 2005 Champions League final proved to be Smicer's final game for Liverpool; but what a way to sign off. On for the injured Kewell after 23 minutes, he scored Liverpool's second goal and also netted a vital penalty in the shootout. He joined Bordeaux from the Reds and retired in 2009 at his first club, Slavia Prague. The Czech star subsequently enjoyed a short-lived political career in his homeland and worked alongside national team head coach Michal Bilek as sports manager. French striker Cisse came off the bench to replace Baros late on and netted a crucial spot-kick in the shootout. The Lord of the Manor of Frodsham, as he became known upon purchasing a manor house in the Cheshire town, suffered a series of injuries during his time at Anfield and he eventually left for Marseille, initially on loan, in 2006. Stints at Sunderland, Panathinaikos, Lazio, Al-Gharafa, Kuban Krasnodar and Bastia followed before a hip injury forced him to retire in 2015. He re-focused on a career as 'a DJ, producer and pundit' and has performed as Mariah Carey's warm-up DJ for her shows in Paris. In 2017, Cisse came out of retirement to sign for Swiss third division club Yverdon-Sport, scoring 24 goals in 28 games last season.